A superb summer-cropping primocane variety producing delicious sweet red fruits on new canes with unusual and attractive golden-yellow leaves that do not burn in the sun. Perfect for patio containers. Hardy to -35°C. Supplied in 12cm pots. 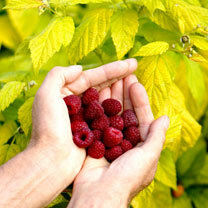 Imagine how exciting it would be to grow your own raspberries right on your patio. You’ll be able to step outside in summer and return to the kitchen with a bowl full of fruit…even in the first year of growth! 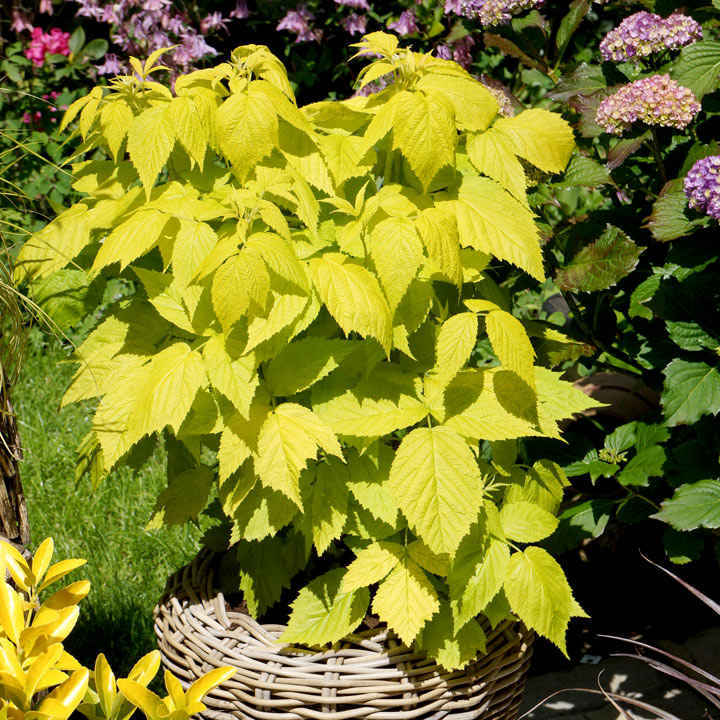 Groovy raspberry is perfect for anyone with less outside space for growing, and it offers beautiful foliage and lots of delicious fruit. Whether you blend the plant in to your border displays or you grow it by itself, it creates a unique talking point in any outside space. We love the fact that Groovy’s a compact raspberry plant, and it will produce short canes reaching up to a metre in height. So, if you’ve been wondering what to grow in that empty corner of your patio, balcony or garden, this clever little plant suits them all.